"MALENA es una ballena que de amor está llena. ¡aunque es un poco resbaladiza!". 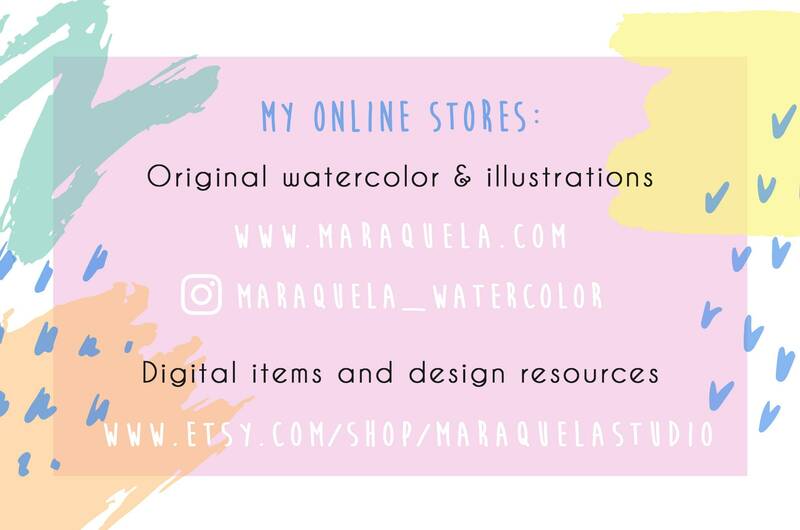 • Cojín ilustrado ballena Malena, del diseño original en acuarela con simpática historia del personaje. • Con parte frontal ilustrada y parte posterior con preciosa tela de algodón Gütermann rosa. • Tamaño aproximado 31 x 16 cm. • Tela exterior posterior de algodón 100%. 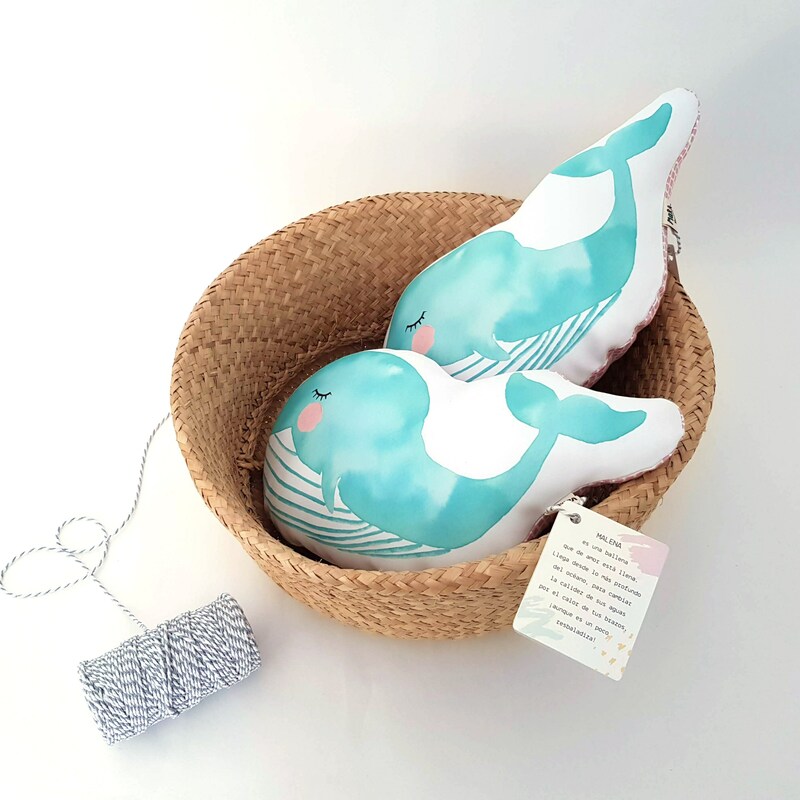 This sweet whale pillow is called Malena, she is full of love and has come from the depths of the ocean to snuggle in your arms. 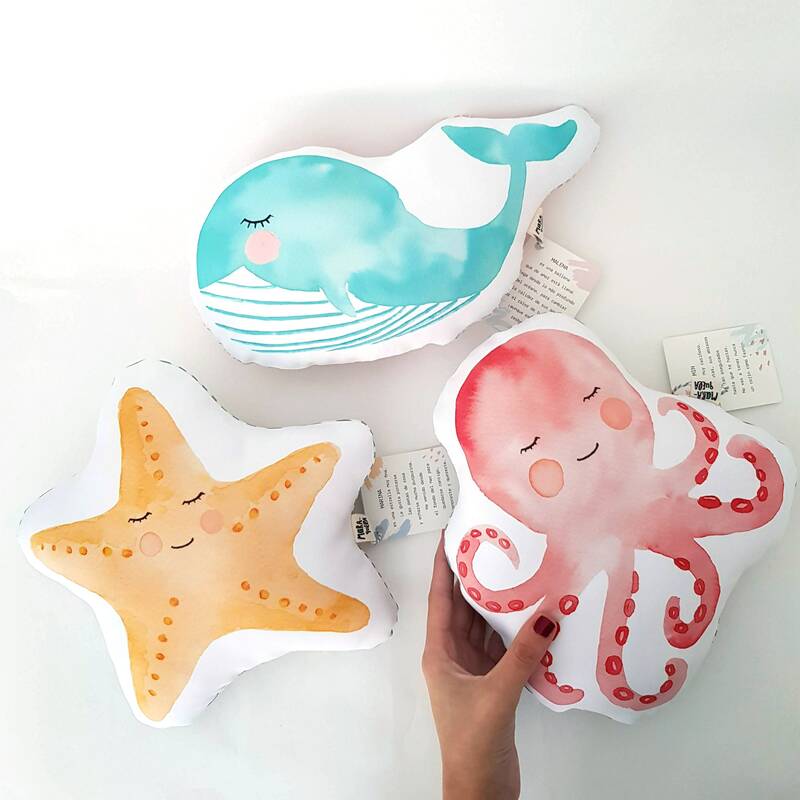 • MALENA is a decorative cushion from the whale illustration in watercolor. • Includes a small story with Malena's personality (in Spanish), making it a unique and sweet friend. 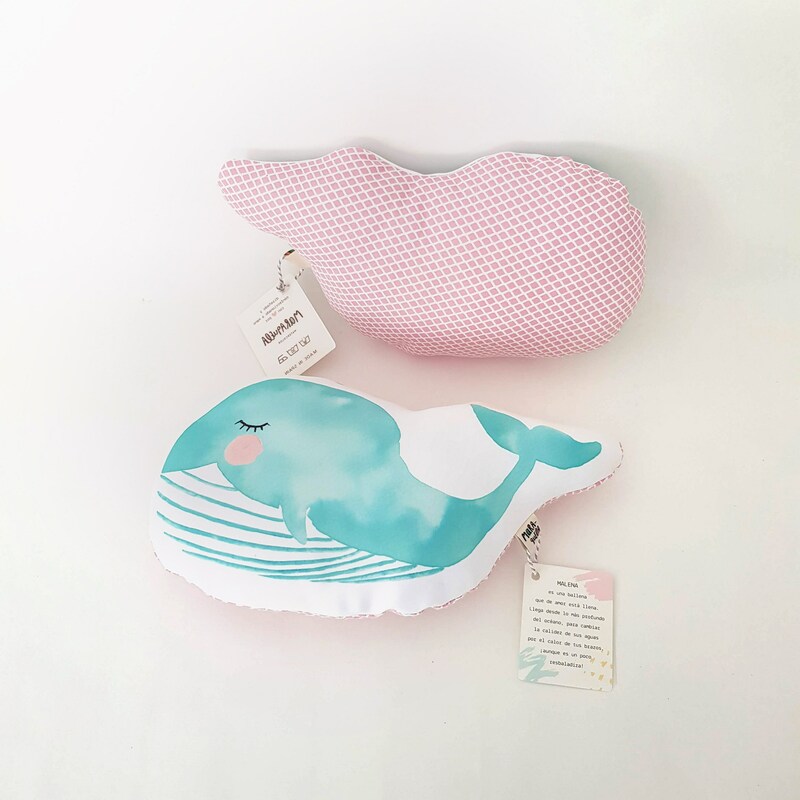 • Malena whale cushion is composed of an illustrated front side and cotton fabric on the back (pink color). 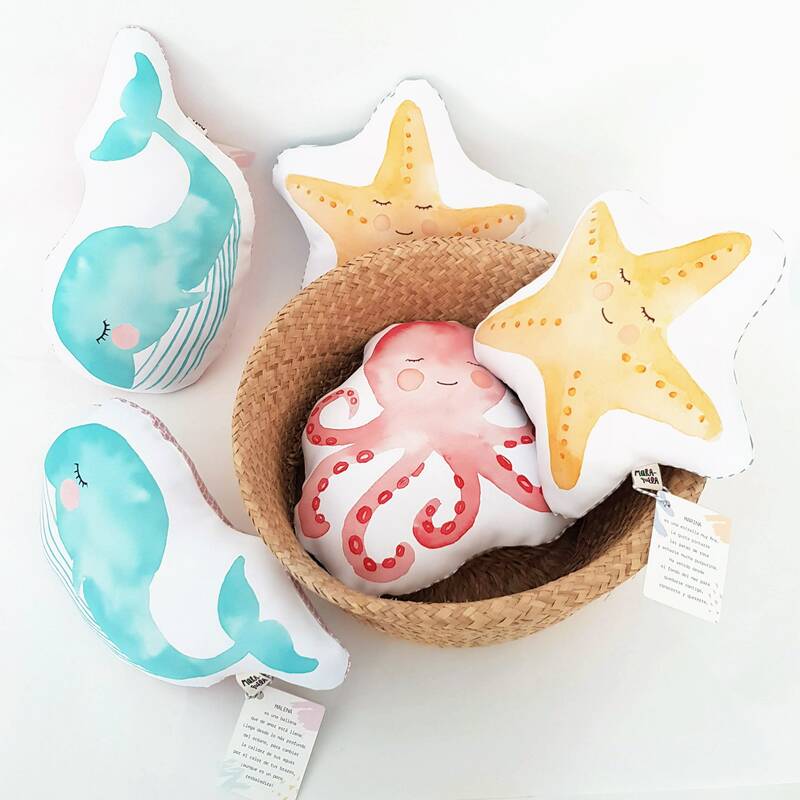 • This whale and the other marine animals cushions are ideal as play companions and moments of sleep, your baby will greatly stimulate his fantasy and imagination with them! 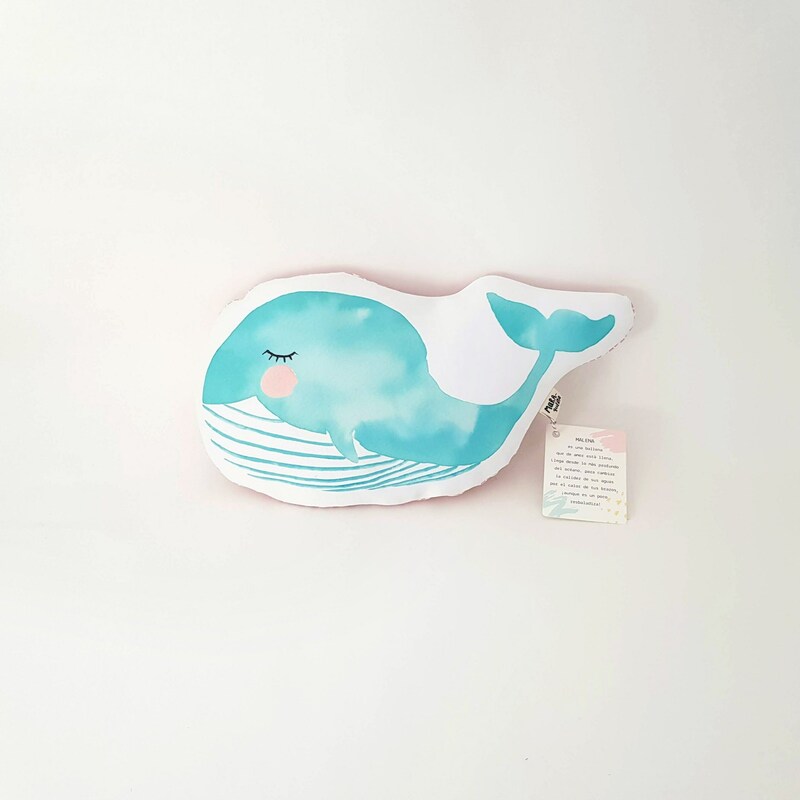 • Approximate size: 31 x 16 cm / 12.2" x 6.3"
• The whale cushion includes a small story of the sweet whale, that gives personality and character to this lovely animal. • The cushions are handcrafted, so they can present small differences due to their handmade characteristics, is precisely this that makes each piece unique. • Back side fabric 100% cotton.